The Airbrush Company presents a three-day course covering all you need to know about Helmet Painting, taught by top UK artist and Custom Painter, Piers Dowell. Piers Dowell has been Custom Painting since 1992. He started, as most painters did, just doing a few helmets for friends. This didn’t take long to turn into a steady stream and now he’s probably painted in excess of 2,800. He has a number of full and part time employees working in a state of the art facility at his home in Worcestershire. 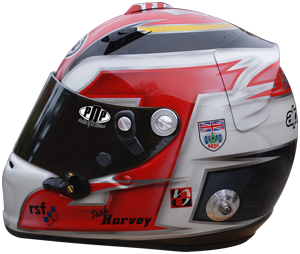 The mainstay of his work is still crash helmets for the Auto Sport industry. 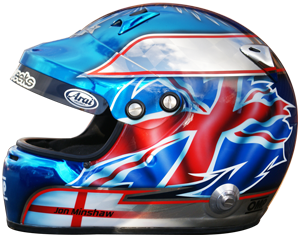 He is official painter for Stilo and Simpson crash helmets in the UK and Ireland. His clients include Red Bull to Royalty, Demon Tweeks to Pirelli. In 2007 Piers decided to identify the separating parts of his business. PDP covers the Custom Paint side with Bikes and Helmets. Enth Degree covers the very high end one off guitars and airbrushed art pieces and Piers still uses his own name for his fine art works. These are hyper realist paintings which take over 500 hours and are so detailed that Piers can only produce about 1 a year. His intention is to produce about 5 works before he embarks on any major exhibitions with this work although it will be viewable on this site. You can view more of Piers' work by visiting his website: www.piersdowell.com. On this three-day intensive class you will learn grounding in all aspects of helmet painting from technical to business and organization. Students will leave with a painted helmet to take away. Please note: Due to the drying/curing time, the shells will not have the final clear coating they require. Piers has agreed to take each shell back to his working facility to apply clear coat and return back to the student. This is inclusive of course cost but postage is extra. This class is aimed at all skill levels. If these dates are not suitable, please contact us to register your interest in the next course. Accommodation - A list of local hotels and B&Bs will be sent with your booking confirmation. Lunch - Bring a packed lunch or pre-order sandwiches by returning the form provided with your booking confirmation. Please bring cash with you on the day for pre-ordered sandwiches. Notepad and Camera - It is not essential however we do recommend you bring a notepad and camera with you. Please click here to read the terms and conditions regarding course cancellations and postponements. A printed copy of these terms will be sent with your booking confirmation.